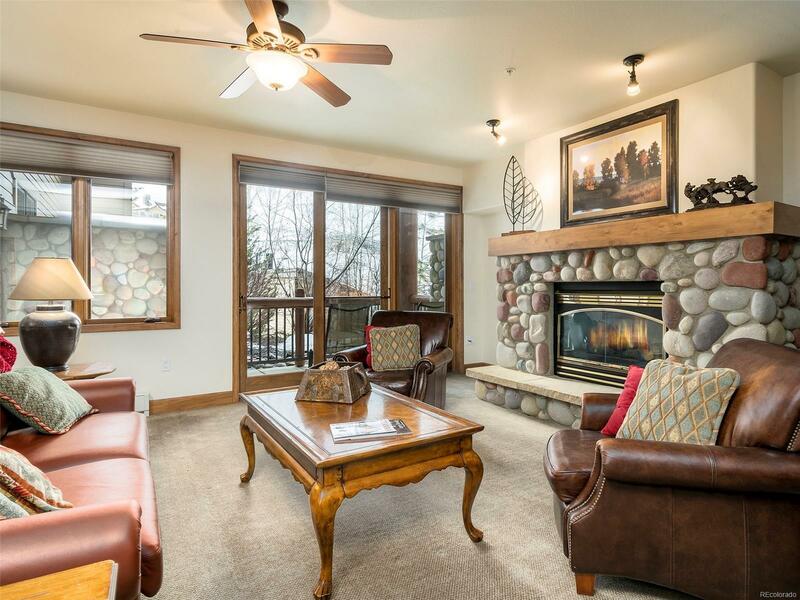 Located at the base of Steamboat Ski Resort, this two bedroom, two bathroom, ski-in-ski-out condominium is the perfect escape during both summer and winter seasons. Christie Club offers breathtaking views as skiers zoom by and is within easy walking distance to the shopping and dining opportunities in Ski Time Square. The fantastic amenities include a ski storage room for equipment, shuttle service, health club, outdoor pool and hot tubs, game room, concierge, and more. The large family room is a perfect gathering place to sit in front of the fireplace and exchange stories from the day's fun activities. The unit offers a large open floor plan with a walk-out covered patio that overlooks the pool and ski area. The master suite has both a standing shower and soaking tub, perfect to relax in after a long day on the slopes. The open kitchen has bar seating, a custom refrigerator to match the cabinets, and sparking granite tile counter tops.